Noted Hindi poet Kedarnath Singh has been chosen for the prestigious Jnanpith award for 2013. 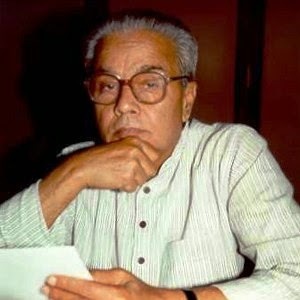 Kedarnath Singh is the 10th Hindi writer to receive the honour and joins the likes of Sumitra Nandan Pant, Ramdhari Singh Dinkar among others. He will be the recipient of the 49th Jnanpith award. Singh, 80, who has also written essays and stories, was born in Balia, UP. Abhi bilkul abhi and Yahan se dekho are among his prominent works. The award includes Rs 11 lakh and a citation, a release from the Jnanpith award committee said. With this he joined the league of 10 noted Hindi writers (Sumitranandan Pant (1968), Ramdhari Singh Dinkar (1972), Sachchidananda Vatsyayan (1978), Mahadevi Varma (1982), Naresh Mehta (1992), Nirmal Verma (1999), Kunwar Narayan (2005), Amar Kant (2009), Sri Lal Sukla (2009), Kedarnath Singh (2013)) who have won Jnanpith award. About Jnanpith Award: The Jnanpith Award is a literary award in India. Along with the Sahitya Akademi Fellowship, it is one of the two most prestigious literary honours in the country. The award was instituted in 1961. Any Indian citizen who writes in any of the official languages of India is eligible for the honour. It is presented by the Bharatiya Jnanpith, a trust founded by the Sahu Jain family, the publishers of the newspaper The Times of India. As of 2014 most Jananpith award winners, ten have been writing in Hindi followed by eight in Kannada, five each in Bengali and Malayalam, four each in Oriya and Urdu and three each in Gujarati, Marathi and Telugu and two each in Assamese and Tamil. Malayalam writer G. Sankara Kurup was first person to win Jnanpith award in 1965.